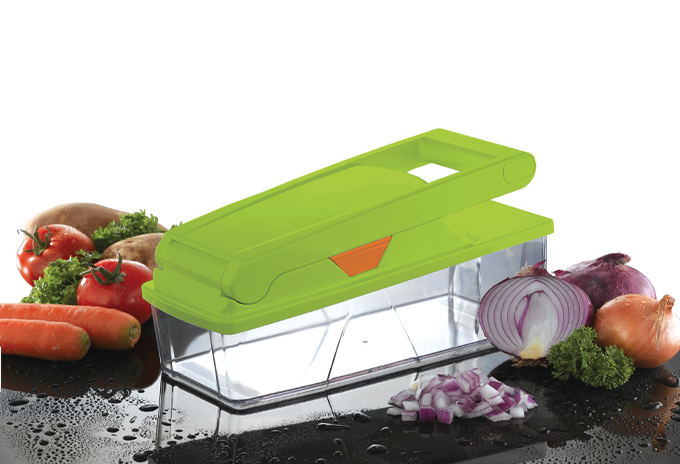 The Cubic compact vegetable cutter cuts fruit, vegetables, herbs, cheese and sausage into dices or julienne strips quickly, easily and safely. The revolutionary HOUSEWARES Thawing & Cutting Board allows you to defrost deep frozen groceries quickly. Food preparation made easy! 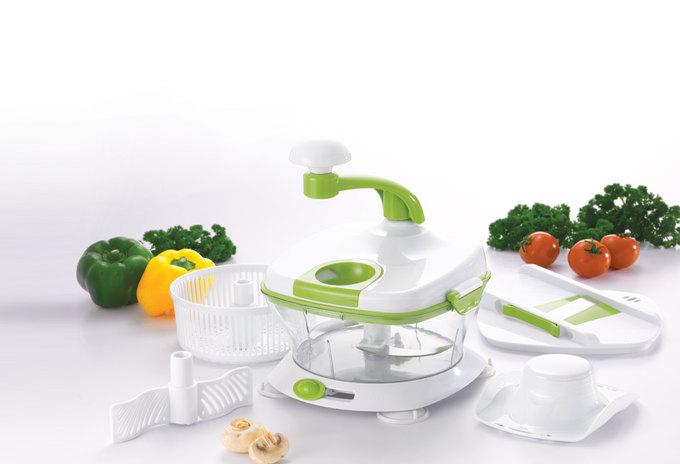 With the multi-kitchen helper „chop KING“ you can cut, mix, stir, beat, grate and chop. With the Profi Can MULTI the issue of safety is paramount: it was designed so that it opens cans without creating any sharp edges or metal fragments, as the can opens at the outside. 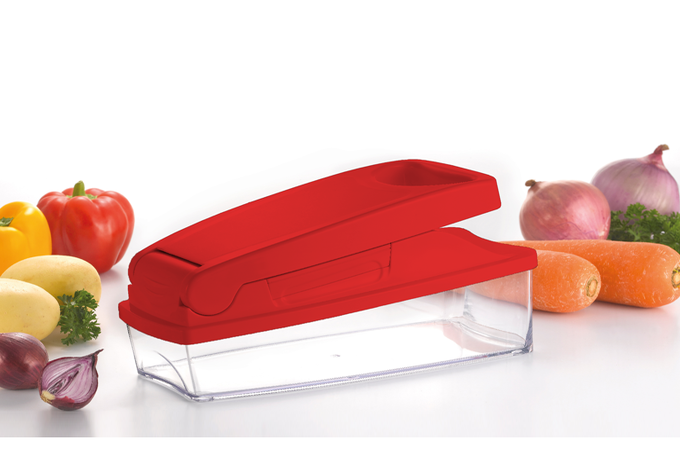 As quick as a flash, the SPIRELIX spiral slicer transforms radishes, cucumbers or carrots into decorative julienne, curls and spirals. 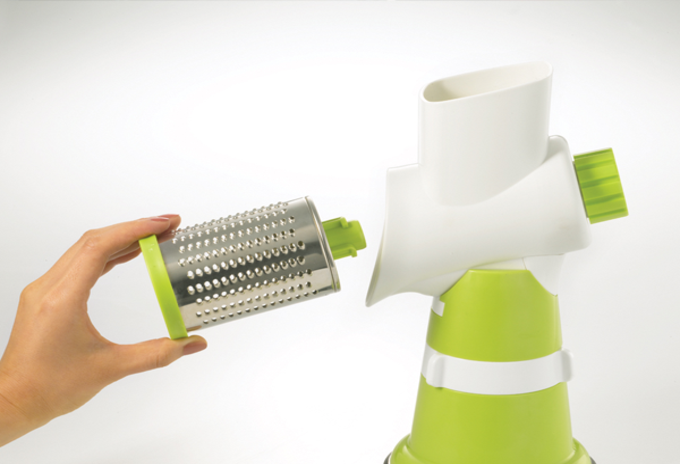 Cuts fruits, vegetables, herbs, cheeses and sausages into dices or julienne strips quickly, easily and safely. LED Küchenwaage mit Touch-Sensor ausgestattet mit hohem Präzisions DMS-Sensor-System und 4mm Sicherheitsglas.